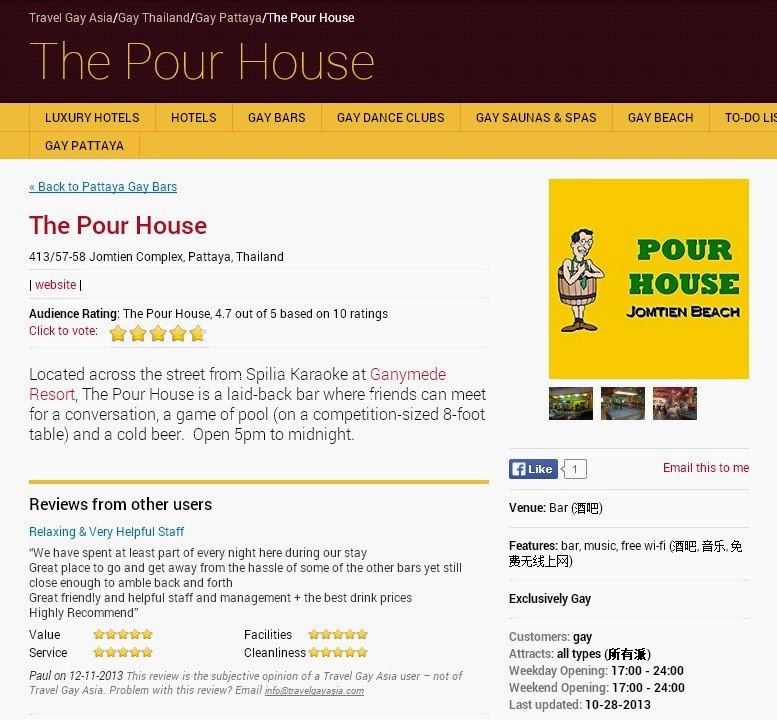 The Pour House Staff and Management are pleased to learn that the Pour House has received one on the highest ratings for Gay Bars in Pattaya by the readers of travelgayasia.com! With a rating of 4.7 out of 5 Stars, the Pour House is one of the highest rated bars in the area. The Pour House sends thanks to all of you who have voted and left reviews. They hope to exceed your expectations in 2014! !